The 2018 Volunteer Fair was held on Tuesday, November 13th at the library. Over 450 community members attended to gather information about various volunteer opportunities available. In our Atrium, 24 organizations informed those attending about volunteering opportunities in our area. The library wishes to thank all of the organizations, representatives and attendees for making this a truly successful community event. Below is a listing of all the participating organizations, their websites and current requirements. Summary of volunteer needs: Summary of volunteer needs: We need adult volunteers male and female to spend 1-on-1 time with children in our program. Summary of volunteer needs: Volunteering in emergency services is one of the most important decisions you may make. We hope that you give this decision the time and serious consideration it deserves and decide to join our ranks. Summary of volunteer needs: Volunteers needed to feed dogs, clean kennels, walk and play with dogs, help at fundraising and meet and greet events. Summary of Volunteer Needs: We are seeking volunteer tutors for English Language learning adults in the Harrisburg and Mechanicsburg area. Summary of Volunteer Needs: The library welcomes the energies and talents of engaged volunteers. Our needs include, but are not limited to, shelving materials, check in materials Adopt-a-Shelf, Traveling Tales Tellers, Homework Club, searching shelves for materials and Coffee Corner baristas. Looking for teens with an interest in science, technology, engineering, and math. Are you interested in science, technology, engineering, or math (STEM)? Are you interested in 3D printing and coding? Would you like to offer your science & tech skills and help younger kids become excited about science? If you answered yes to any of these questions, then consider becoming a STEM Mentor here at the library! Summary of Volunteer Needs: We are in need of volunteers to help 1. In our office 2. Visit hospice patients 3. Make bereavement calls. Summary of Volunteer Needs: The library welcomes the energies and talents of engaged volunteers. Our needs include, but are not limited to, shelving materials, check in materials, searching shelves for materials and dusting. Summary of Volunteer Needs: The EPFD is looking for new members to fill the ranks of Firefighters and Support personnel. Summary of Volunteer Needs: The Friends welcome new members to join in supporting the library in raising funds and advocating for library needs. Summary of Volunteer Needs: The Friends welcome new members to join in supporting the library through fundraising activities such as book sales and silent auctions. Summary of Volunteer Needs: We are always looking for adults to volunteer with our organization as Troop Leaders, Co-leaders, Troop Activity Chaperones. Our volunteers support our girl members to help them make amazing new memories. 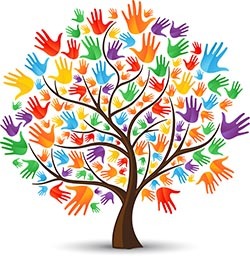 Summary of Volunteer Needs: The Highmark Caring Place is in need of volunteers to help with our grief support programs for children and families who have experienced the death of a family member. There are many opportunities for individuals to help in a variety of roles. Summary of Volunteer Needs: Volunteers to provide: companionship share music (vocal or instrumental), pet therapy; office assistance; transportation for patients; bereavement support and more! Summary of Volunteer Needs: We are in need of volunteers who can take dogs to and from vet appointments and adoption events. We are also in need of volunteers with video and photo editing capabilities. Summary of Volunteer Needs: We need volunteers to provide companionship for patients and respite for caregivers, act as Big Buddies and support for children at our Bereavement camp for kids during the summer, veterans to provide support to veteran hospice patients, help at special fundraising events, etc. We have MANY opportunities for volunteers, but we most need volunteers to visit patients right now. Summary of Volunteer Needs: Volunteers needed in Cumberland, Dauphin, Perry and York Counties to spend time with patients; sharing stories, doing crafts, working puzzles/games, listening to music, reading, coloring, looking at pictures, helping caregivers. Only a few hours a month needed. Summary of Volunteer Needs: Looking to partner with local organizations that are willing to host young adult workers in short-term work experience opportunities. We are able to pay the youth workers so there is no cost to the host organization but an investment of time and ability to mentor a young person. Summary of Volunteer Needs: RSVP partners with local organizations to help recruit volunteers. Current volunteer needs in Cumberland County include: Adult Literacy Center Volunteers, Reading Buddies for Elementary School Students, Activity and Meal Assistance Volunteers for local retirement community, and Volunteers to Help Families Re-establish Their Homes. Summary of Volunteer Needs: Volunteer coaches are needed in many of our sports. Volunteer opportunities are also available for one-day events. We are also looking for people to participate in our Capital Area Polar Plunge which is our largest fundraiser of the year. Summary of Volunteer Needs: Volunteers are needed to support the Cumberland County Library System's STAR (Service To Adult Readers) program. Volunteers provide a personalized book selection and delivery service to homebound adults who live in Cumberland County. Summary of Volunteer Needs: Raising service dogs from 8 weeks to approx. 18 months; or sitting for dogs in the program. Summary of Volunteer Needs: We need volunteers for the Money in Your Pocket program which provides free income tax preparation services for low and moderate income families. We are looking for tax preparers and greeters. Training and site support are provided. Summary of Volunteer Needs: We are currently in need of Ushers to serve as front-line customer service representatives at performances in Whitaker Center's Sunoco Performance Theater. Ushers greet guests, seat them quickly and with courtesy, and respond to any special needs or requirements that might arise. Summary of Volunteer Needs: We frequently need help with pledge phones, kids events, community events, as well as with administrative help around the building. Typically we need volunteers 16+ but we are willing to work with younger volunteers on a case by case basis (who will be accompanied by an adult). Check out photos of the day HERE!